- Presented on the “La Maison Citroën” stand at the Paris Motor Show, the C3 JCC+ limited edition model is now available on the french sales website www.citroen.fr/vehicules-neufs/citroen/citroen-c3-jcc/description.html through a leasing with purchase option offer starting at €254 a month. - Designed by Jean-Charles de Castelbajac, the new limited edition model produced in 99 units stands apart with its singular personality and through its sales method. 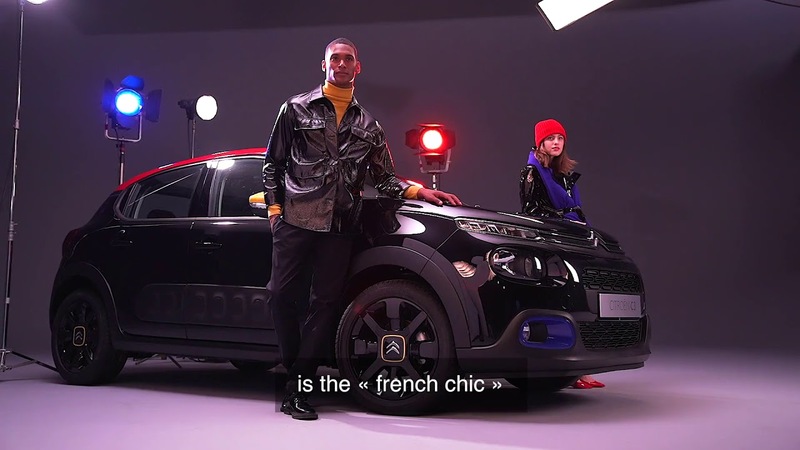 - An innovative brand inspired by customers and their motoring lifestyles, Citroën is shaking up conventional automotive retail by selling the limited edition 100% on line, for an easier and more serene automotive experience. The car is delivered to the dealership chosen initially by the customer. NB: The C3 JCC+ limited edition can also be ordered in the Citroën France network. The result of an encounter between two French visionaries with colourful creative approaches, the Citroën C3 JCC+ “fashion car” designed by Jean-Charles de Castelbajac is based on the third-generation C3, a versatile and customisable city car and Citroën's best-selling model. The new creation, exhibited in September on “La Maison Citroën” stand at the Paris Motor Show alongside the E-MEHARI “art car”, stirs the creative instincts and expresses the two key passions of Jean-Charles de Castelbajac: art and fashion. An international brand with French roots, Citroën is promoting French creation with the new limited edition model produced in just 99 units. Each one proudly features the JCC+ monogram and is instantly recognisable with its black body paint punctuated by touches of the fashion designer’s emblematic colours, red, blue and yellow. - Blind spot monitoring system and reversing camera.